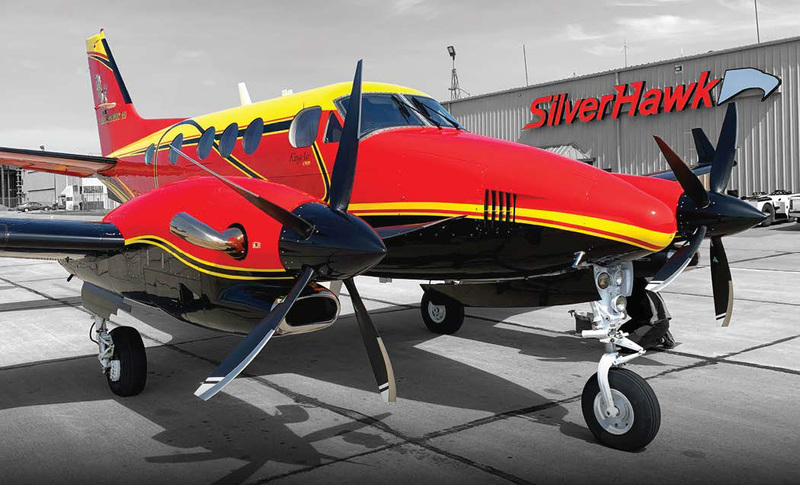 We at Silverhawk Aviation are very excited about the latest C90A engine conversion. This conversion came to us on a recommendation from a business acquaintance on the east coast and the STC holder from Texas. This is a great testament to the maintenance staff here and the great reputation they have created throughout the industry when it comes to engine upgrades. This client’s usual maintenance facility is in Utah so convincing this client that we were his best option and having him pick up and deliver in Lincoln, NE for his engine upgrade was no small task on our part or his. The airplane is currently based in Goodyear, AZ, so moving the aircraft to Lincoln was no small feat. That being said, the client has committed to bringing his airplane back to Lincoln in September for Phase Inspections, our staff did the right things to gain this customer for a one-time opportunity and has now retained him has a regular customer moving forward. This is a great example of the type of team that has been assembled, the team work displayed, and amazing quality in product delivery. Our client shared coming in that the rigging had never been to his satisfaction, it left our facility with a declaration of “wow” this is great and you guys really know what you are doing. He also shared an on-going minor pressurization disparity that he had addressed many times without a resolve, including unnecessary engine Hot Section Inspections to correct on inflow problem that was found here and resolved rather inexpensively by correcting some P3 leaks between the left flow pack, inter-cooler, and fuselage wing root connection. Kudos to our technicians for being best at what they do. Another satisfied customer with the praise belonging to our maintenance staff.